It always happens. Inevitably we end up with more zucchini that we can possibly eat in time before the next batch is ready. I like summer squash, don’t get me wrong. But using up the excessive volumes of zucchini can be hard. My mother in law freezes grated summer squash for adding to soups and stews later in the year. She also makes quite a nice zucchini bread. But the problem remains, what do you do with so much zucchini??? Conveniently tomatoes are also coming ready now, so I figure why not combine them both and make magic happen? 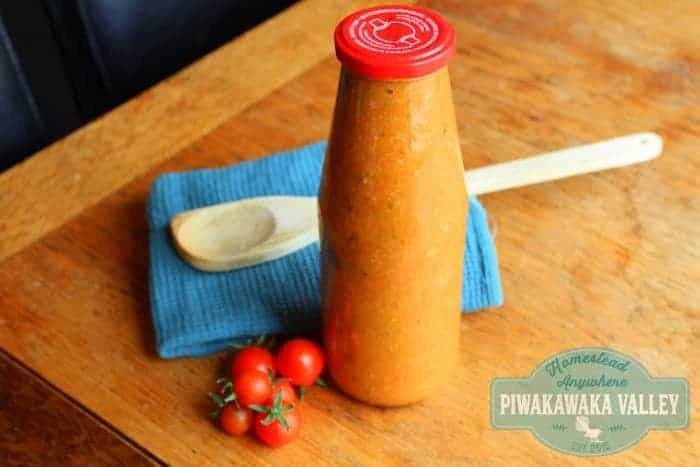 Now, this sauce is more like a homemade passata – a tomato sauce to put in or on food before cooking it rather than a ketchup style sauce. A great ingredient in lasagna meat or mixed through pasta with some parmesan cheese, or poured over chicken (or rabbit!) before baking it. 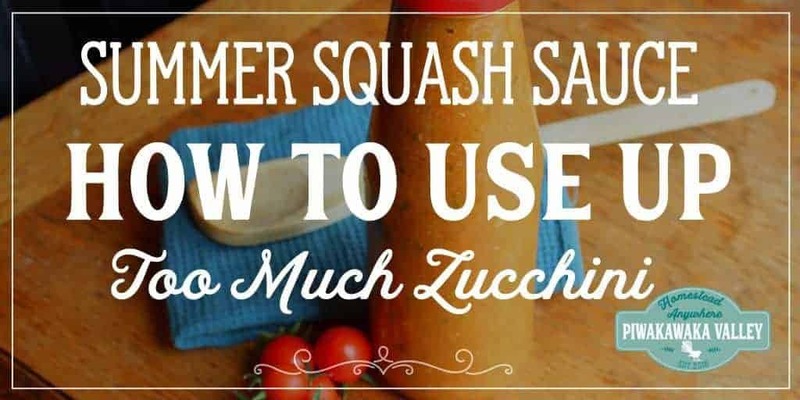 A great way to preserve and use up all your spare zucchini and other summer squash, as well as your ripe tomatoes. Put all the ingredients in to a large pot and bring to the boil. Simmer for 1 hour or until everything is nice and squishy and the sauce has reduced a little. 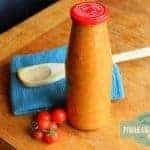 Wizz with either a stick blender in the pot OR allow the sauce to cool, blend in a blender, return it to the pot and bring it back to the boil. Place the lids in a pot of boiling water and boil for 10 minutes. Remove your jars and place them on a folded towel or wooden board to minimise the heat shock. Pour your boiling sauce in to the jars one at a time (I use a funnel). Fill them right to the very top, wipe the rim with a clean cloth and apply a lid. Screw on fingertip tight and sit aside to cool. Repeat with all the jars. If you prefer to water bath as well, see the instructions below. Notes: You can water bath this if you prefer, leave 1/2 inch of headspace and boil with the water 1 inch over the top of the jars for 10 minutes. Personally I am happy with the vinegar/acid content and the overflow method. But I will leave it up to you. I have re-used commercial passata jars – they are perfect, they are tall like sauce bottles but with a wider mouth. Again I will leave it up to you – the gold standard is to not re-use jars but to store things in proper canning jars with new lids. The re-use system has worked for my family for the last 3 generations, but be aware it is not recommended.